I have the pleasure of working with inspiring, impactful organizations every day as a non-profit consultant. But I also get to discover wonderful organizations during the course of my travels around the globe. This year there were three that stuck out to me as being particularly impressive. Read on to learn more about each of them and you can support their efforts. On my first morning in Cartagena, Colombia, this spring, I visited Bazurto Market to get a better idea of how Cartageneros live outside the walls of the old city. 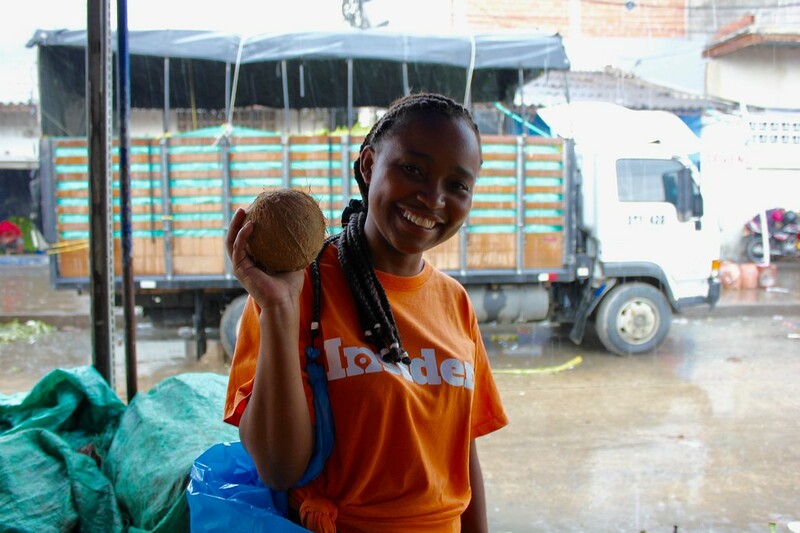 My tour was conducted by Visit.org partner Cartagena Insider Tours, which offers tourists a closer look at Colombian history and culture through a variety of immersive experiences. All of the tours benefit Fundación por la Educación Multidimensional (FEM), one of the few organizations in Cartagena dedicated to empowering local Afro and indigenous communities. FEM connects these communities to opportunities and resources with the ultimate goal of reducing the extreme social and economic inequality that exists within Colombia. Cartagena Insider Tours also trains and employs community members, including the young woman named Marcy Luz who served as my guide. How you can help: If you’re traveling to Cartagena, you can take a tour with Cartagena Insider Tours, stay at the Volunteer Hostel in the old city, or visit Cafe Stepping Stone in Getsemaní, all of which support FEM. I learned about the 22Stars Foundation on the Nomad Cruise this spring when its founder, a Dutch woman named Stella Airoldi, gave a presentation about her unique “nomad” journey. Stella, who first visited Uganda in 2009 to conduct research for her master’s thesis, launched 22Stars Jewelry in 2013 to create jobs for women living in the Acholi Quarters of Kampala, many of whom are refugees from war and are HIV positive. 22Stars now employs 40 women, both in the Acholi Quarters and the Danida slum in Jinja, who make beautiful paper jewelry that is sold around the world. 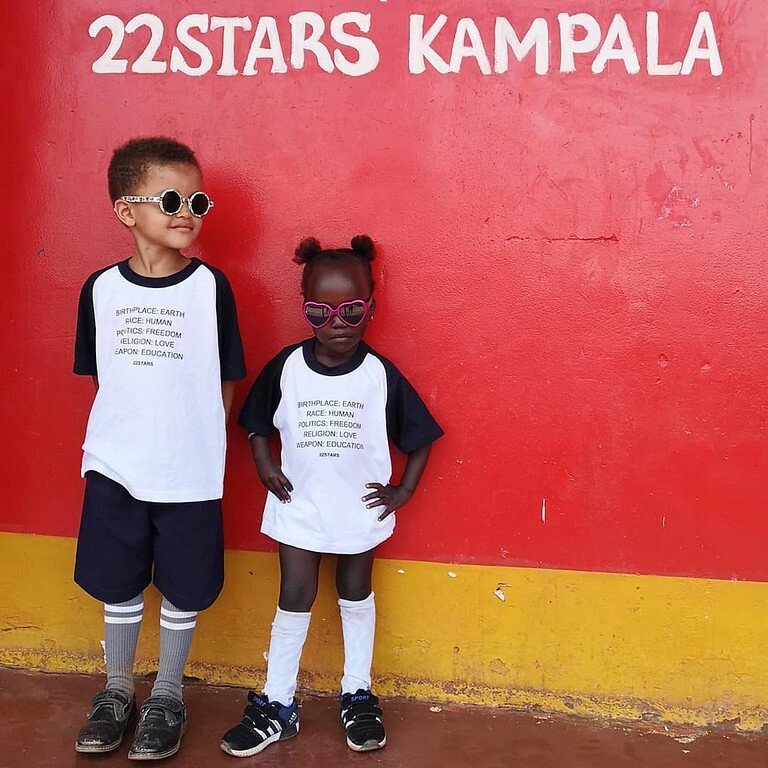 The 22Stars Foundation provides educational opportunities for the children of the jewelry makers, and supports local entrepreneurs through small business trainings and zero-interest loans. In less than one year, Stella found sponsors for nearly 200 children to go to school! The foundation also provides the children with other basic necessities like clean water, medicine and mosquito nets, and every weekend they are fed a hot, healthy lunch. How you can help: There are several ways to help the families of 22Stars including purchasing the handmade jewelry and sponsoring a child’s education. And if you are a digital nomad, consider attending a Social Workation in Uganda. 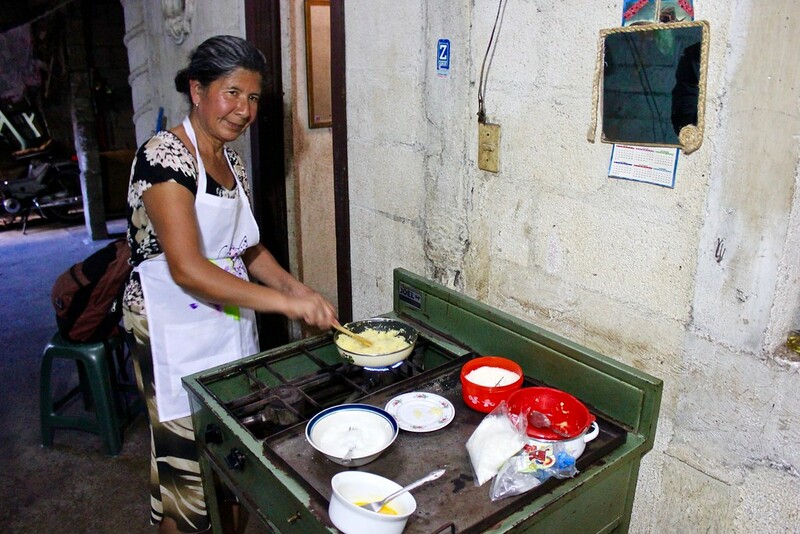 I learned how to make candy from the mother of my tour guide, Christian, in Antigua, Guatemala. In November I traveled to Guatemala with Ryan of GoodTrip Tours. Ryan has a new trip available for families interested in learning Spanish and immersing themselves in the Guatemalan culture. 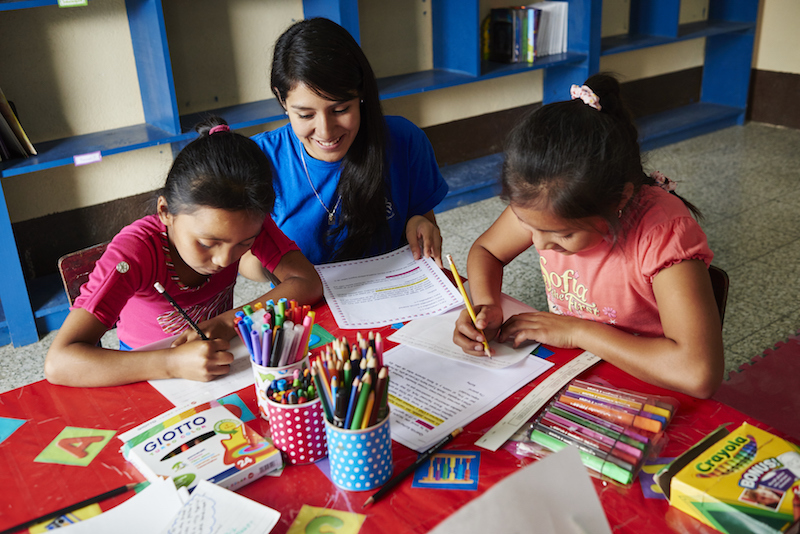 His on-the-ground partner in Antigua is Niños de Guatemala (NDG), which provides more than 500 children with a quality education at its three schools – two primary and one secondary – as well as nutritious meals, medical and dental care, and counseling. Since I was in Antigua during the 10th anniversary of NDG, I got to meet the organization’s founders and staff, and visit all of the schools. I also got to participate in various tours and activities offered by the social enterprise Cambio NDG. One of my favorite experiences included getting a lesson on making sweets from the mother of my NDG tour guide, Christian, whose siblings attend NDG schools. How you can help: If you are traveling to Antigua, there are many ways to support NDG through Cambio NDG including taking Spanish lessons at the Cambio Language School, taking a tour or booking a homestay. 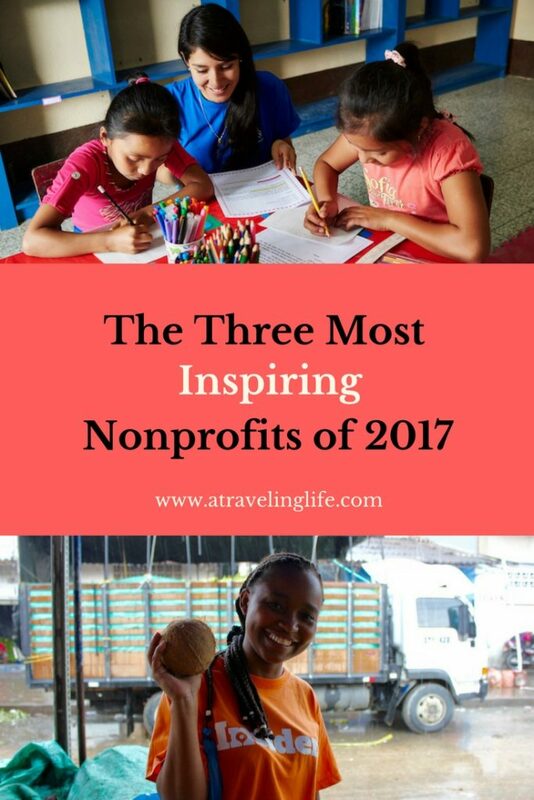 What inspiring nonprofits have you met this year? Thanks a ton for sharing. I’ve been looking for a nice non-profit worth donating to. Ever since my introduction to effective altruism, I tend to be more picky about who I contribute to. There were quite a few good but small ones(usually go under the radar) I came across like Havafeed when I was traveling through Australia. Thanks, Shree, for your comment. You’re right, it’s important to do your research before donating. I haven’t heard of Havafeed, so thanks for the recommendation!